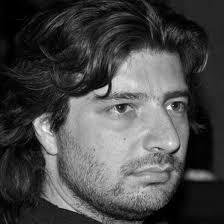 Born and raised in Florence, Jacopo Storni is a writer and a journalist. Jacopo writes for Corriere della Sera, Corriere Fiorentino, Corriere.it and for the Redattore Sociale. In 2016 he was the winner of the “Roberto Ghinetti” journalistic prize for his commitment in dealing with social issues, mainly related to the increasingly urgent topic of immigration. Storni is also the author of two books that both investigate societal issues: “Sparategli. Nuovi schiavi d’Italia” and “L’Italia siamo noi. Storie di migranti che ce l’hanno fatta”.